Float presents a relaxed alternative to the power lunches and fast casual chains in Pasadena's South Lake Avenue district. 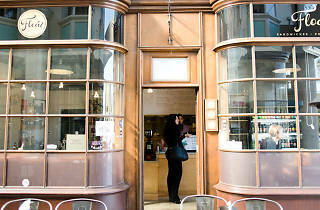 You'll find the cafe and its few outdoor seats at the end of an oddly charming facsimile of London's Burlington Arcade. The sandwich menu is small but varied—from the tangy Chipotle Bacon Club ($9.50) to the Harvest Vegetarian's appetite-satisfying combo of veggies, hummus and honey goat cheese spread ($8.50)—and each one comes prepared on your choice of ciabatta, whole wheat or baguette. The other side of the menu sources local favorites for coffee (Coffee Manufactory) and ice cream (Fosselman's). Bottled soda pop selections and floats served in mason jars with candy-stripe straws contrast with exposed light bulbs and Taschen books in the interior. You can also expect fresh pastries from the Larder, in addition to breakfast bagels and sandwiches. 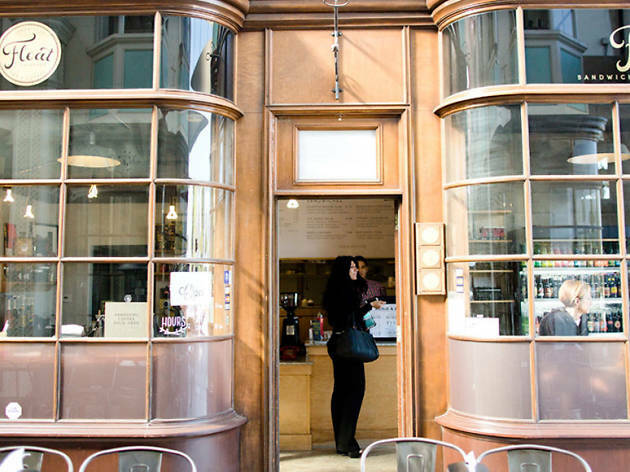 It manages to avoid feeling insufferably twee and instead offers a simply delightful atmosphere for breakfast or lunch.